The Stiga Allround Classic is the textbook definition in setting the standard of what a high quality allround blade should be. A proper balance between speed, control, and consistency has been struck. The most true to name blade available today, the allround classic is the perfect choice for players of any level who want a blade that will support any stroke they want to make. Playing for 4 years and thought a step back from Butterfly TB ZLF would help my stroke improve, but it is way to dull and dead. Maybe a good choice for beginner though, but IMO not for someone who is intermediate yup. Name says everything. Vibration too strong for my taste. It didn't impress me. I'm happier with my Xiom Allround S.
This is popular for a reason. Really good for beginners and intermediate players alike. Very good feedback, super spinny. If you are a beginner, I highly recommend to start your TT with this blade. 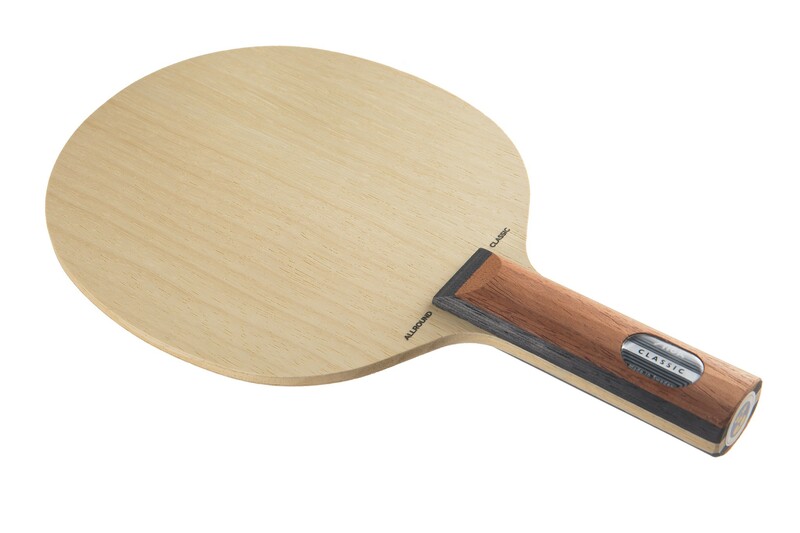 As the name says, this is the greatest blade, making you feel classy and improved during your practice and game. You will be confident with this blade in the long journey to TT. I play with Mark V 1.8mm in both sides. For me lighter than I expected. Total exact weight is 160 gramms. May be because Mark V is lighter than modern tensor EU rubber I used before. Anyway well made blade. Allround style with average speed. Master handle is very comfortable. Recommend to everyone. Основание Stiga Allround Classic это очень контрольное без потери скорости.!!!!!!!!!! я заказал это основание для товарища .он очень доволен !!!!!!!!!! This is a light, slow, all wood, flexible bat, with a lot of control. Very good for beginners, which I am. .And also gives very good sound. The blade idefinitely feels like a high quality product, however coming off of a Palio Master 2, this blade’s low density was something I couldn’t get used to. However, all of the reviews claiming a soft blade with looping rubber is the fastest way to improve are spot on. Using Stiga Allround with Mark V on both sides forced me to use proper technique for every shot to get anything out of it. Overall a phenomenal training blade, however I wouldn’t use it in matches. Since I was using carbon blade before, all round blade need to getting use to.I feel given enough time would be a good blade. i am a begineer and this racket is pefect for my level. It's light, well balanced and my game has improved. Great!!! Very good control. Just perfect allround blade. I bought two pieces one for me and for a friend. He is also happy. Good price and fast shipping! Very Good Blade and it comes Perfectly! It Came in a box, perfect. Blade has a good finished. Did some sanding to removed sharp edges. Performance was great, especially the control. Vibration and feel is just right for those who wants to perfect their strokes. nice bat well done tabletennis11 for really fast delivery to Australia! Lack of power and has big vibration when you hit or loop. definitely not as good as the reviews say on this site. My game is improved a lot already using this blade. The transition from premade paddle to this didn't take long. Good speed and easy to control. Highly recommended for beginners and intermediate players. Great blade for beginners and can even take you to intermediate/advanced depending on the rubbers you put on. I'm a beginner so I put Mark V's on both sides. It's not too fast, not too slow, it's right in the middle, allowing you to focus on your technique to generate spin, speed and power. Рекомендую в качестве первой профессиональной ракетки. Отличное качество и баланс характеристик. 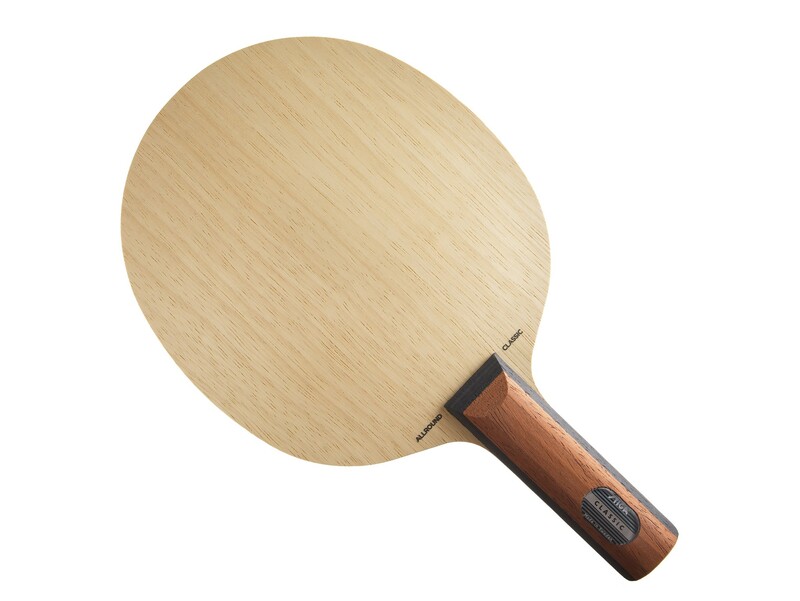 Comprei essa raquete para meu filho Matheus Barros que está iniciando na arte do table tennis; ele sentiu que esta é a raquete certa para iniciantes e eu joguei com a raquete e sei que posso usar a Stiga AC no meu jogo também. Excelente raquete e preço bom; emparelhei a Stiga com duas Donic Vario 2mm e ficou ótima. Очень контрольное олраунд основание за небольшую цену. This blade helps me to improve my backhand skills, and is really easy for loop. I am an intermediate player but then enjoy using Stiga ARC..its a good blade designed for more offensive and good defense as well. Moving from Butterfly ACB, I find this blade really good. I recommend this product to non-Stiga players to try this one. This blade sold over 1 million since inception in the 60's. Allround Classic - the name spoke for itself. 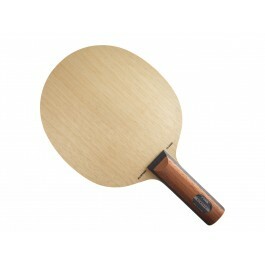 I enjoy to use this paddle because of control and speed. The weight of the blade will general vibration to your hand but don't be alarm; get a rubber sleeve and put on it will resolve the issue. I like to use flare handle, it is pretty comfortable. I had Stiga Evolution pabble before and it was very good. I highly recommend this blade for beginner and intermediate player. Buddy of mine had this blade and once I tried it I knew I had to buy one. Its got great control and paired with the right rubbers you can accomplish a lot of speed for attacks. This blade also provides nice flex and vibration. This is a blade you want in your arsenal. I am just a club level player which means I have couple of service options , I can anticipate type of returns and can attack and defend in tht position. I have forehand topspin loop smash and drive and backhand chop push and loop/flick. My primary motive is to keep ball in play rather than go for those professional player shots. If you are one like me, look no further, get this ply plzz. I have stiga offensive ply as well and trust me there is hell lot of difference btw the two. I use this blade with hurricane 2 and genius+. It is very classic blade in world.